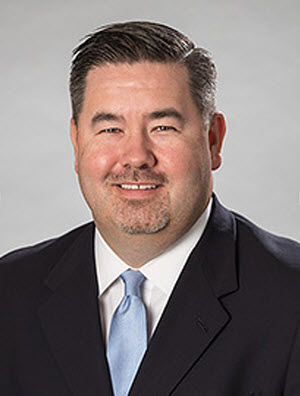 Scott Jenkins is the Chair of the Firm's Arizona Bankruptcy Group, and the Co-Chair of the Summer Recruiting Committee and is the Lateral Hiring Partner in Arizona. He is recognized in Best Lawyers in America® in both the areas of Commercial Litigation and Bankruptcy, by Southwest Super Lawyers® and is also an AV-rated attorney by Martindale-Hubbell. Scott serves as a legal resource and trusted problem-solver to his clients and contacts. He has significant experience helping businesses and individuals resolve disputes and make business transactions happen. While his practice focuses on commercial litigation, and bankruptcy and creditors' rights litigation, his clients trust him with all their legal needs, knowing Scott will connect them to the best lawyer at Quarles & Brady to solve their problem. Scott’s representation of financial institutions extends from litigating commercial loan enforcement matters to defending financial institutions against lender liability claims. Scott represents many of the national, regional, and community banks, and assists them with real estate and commercial loan restructuring and workouts, loan and guaranty enforcement actions, judicial and non-judicial foreclosures, and commercial bankruptcies. In addition, Scott has substantial experience relating to receivership matters and represents many of the local receivers in various State and Federal Court proceedings. He participated in Valley Leadership’s XXXI Leadership Institute and was named to Arizona Business Magazine, Generation Next Forty Under 40 and Phoenix Business Journal’s prestigious Forty Under 40. Passionate about giving back to the community, Scott is currently a member of the Phoenix Thunderbirds and the Fiesta Bowl Committee. Scott has served on Junior Achievement’s Board of Directors for more than a decade. Scott is also a member of the Executive Committee and Board of Directors for Cactus-Horizon Little League and coaches both of his sons in various sports.